We start with news from the construction site. For our car fans we prepare something that will allow them to find a moment of madness in the long winter evenings, and will allow us to breathe a little. 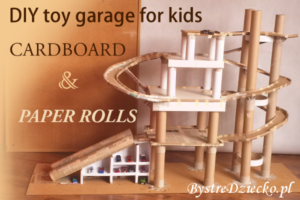 It will be a garage. Sizable toy made from recycled materials. Because, why not? Our child had gathered considerable body of different cars. Small, large, plastic, metal and wood, slightly retro, and straight from the factory. The sources of these treasures is difficult today to inquire, but a mess … oh well. Is. And blooms in the best! It was warm for a week before Halloween. Sun came out from behind the rain clouds and we changed our artistic plans for forest hiking. Alternatively park and bicycle. A minimum worth to devote to joyful creativity. So what we propose today? 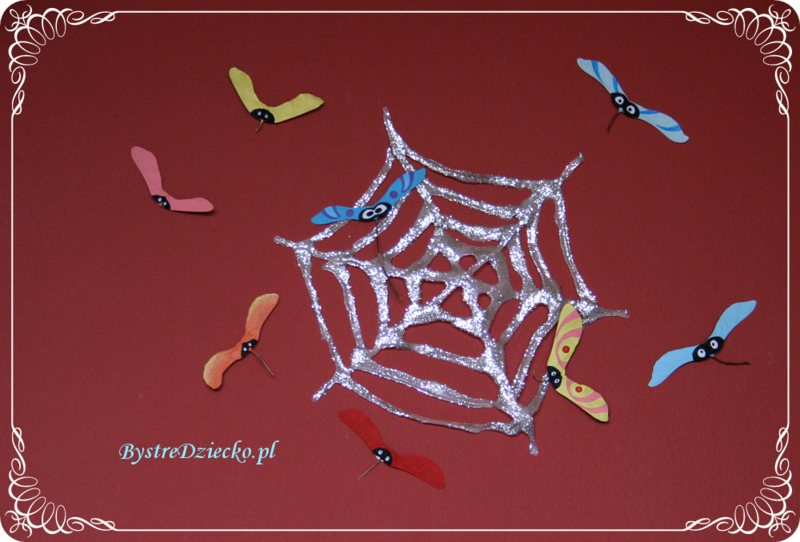 sparkling with brocade, shiny spider-web, useful even as decorations for Halloween. This year the fruits of maple enjoy with us an exceptional prosperity. They are unfathomable treasure trove of ideas, though they look so inconspicuous. 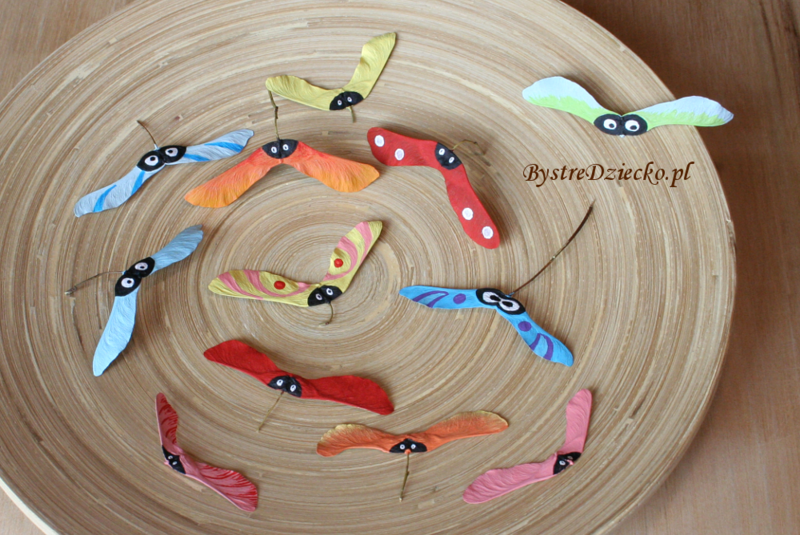 The flies, dragonflies, butterflies, multi-colored insects and helicopters. And into the bargain, they are said to be edible. Autumn is my third favorite season. Despite the cold is still some advantages. And these are the colors! The play of light and color on sunny days, yellows, oranges, reds and browns interspersed with deep green. Magic. Coming back to earth, interesting fruits and seeds ripen in autumn. 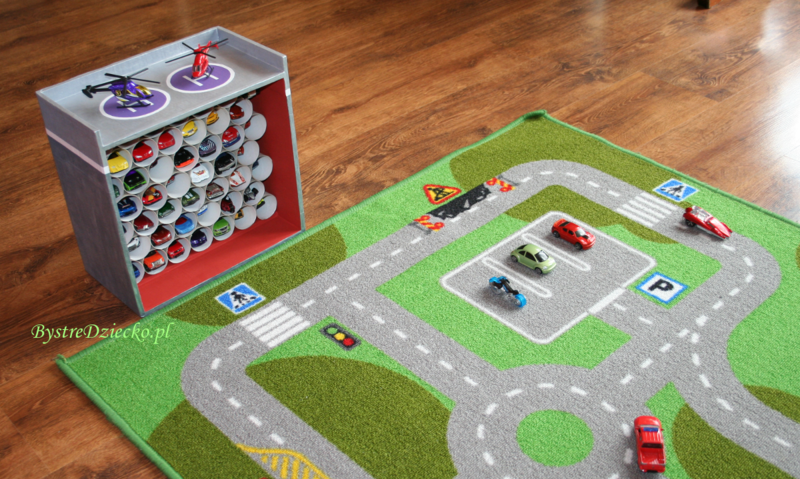 Many of them can be used for artistic activities for kids. Unusual (I think) example is the Honey locust pods (Gleditshia). 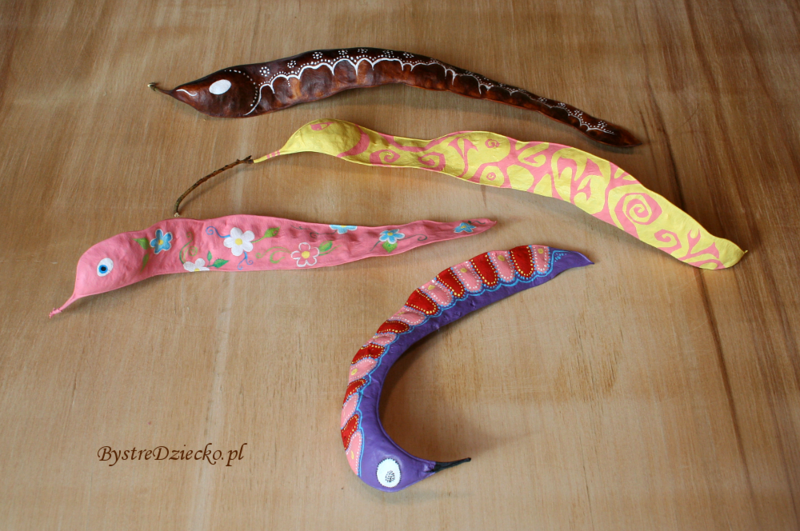 Autumn sun gives them a beautiful brown color, and a twisted nature – a character. 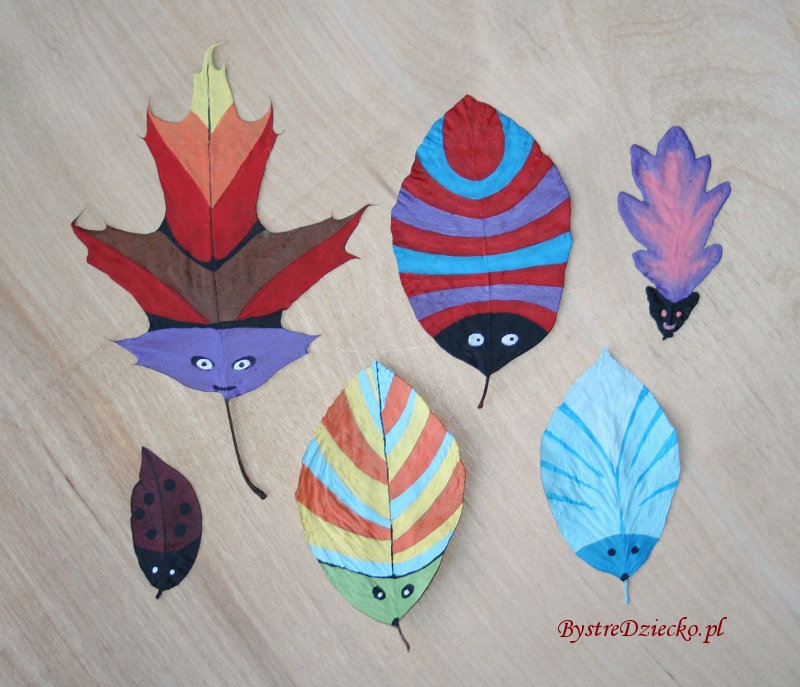 As announced in a previous post, today we have another idea to use autumn leaves in the art for kids. 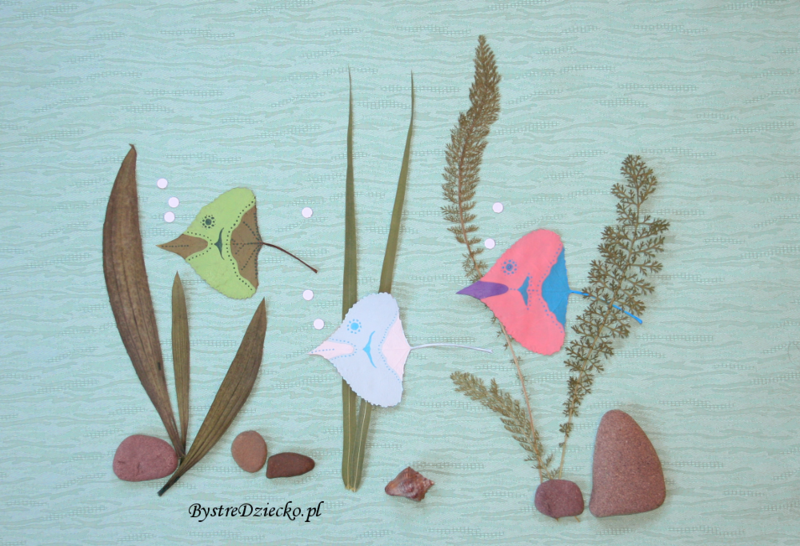 This time we create pictures of fish in the lead role. Again, we paint dried leaves. For kids their flat ground surface is easier to paint. Children grow so fast. Until recently, they wrote the pages of his first crayons, and today they are looking for challenges. Well, at least the walls save … But I suggests to them unusual canvas for their creations. 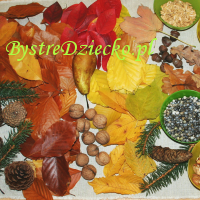 Today – dried leaves, which rise colorful insects. Last Saturday afternoon we spent with the children in the park. During fun definitely towered playground, where children played excellently. After all, we managed to find a moment for a short walk in the park. I should add that park full of oaks, and if so, and also the acorns. Summer trips are often associated with knowing new animals. Often these are the fish, saltwater fish and freshwater fish. Those in the wild and in aquariums. 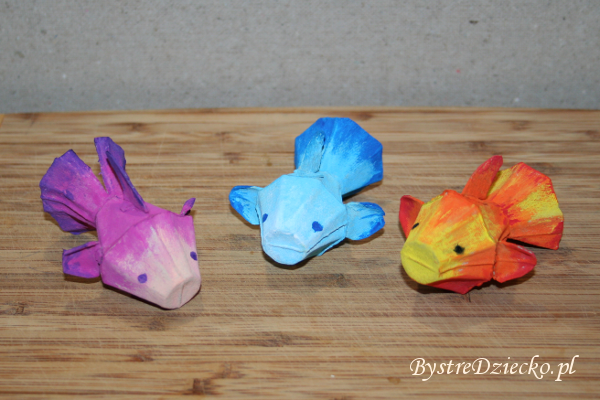 If your children have been fascinated by the colorful fish from warmer regions of the world, you can do your own fish to hang in the kid’s room. Spring flowers grow. Also in our house. 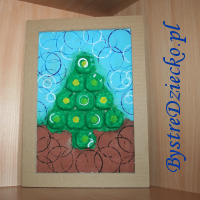 This time we created a spring picture with recycled egg cartons, filled with vibrant colors and fantasy. Preparing for Halloween working at full steam 😉 I’m exaggerating. However, this is a time for cool Halloween crafts. 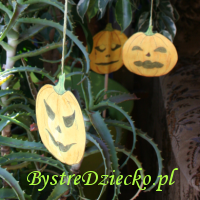 This time we made pumpkins with paper: hanging and on stick skewers. It’s already mid-October, which means there’s not much time left before our Halloween Party. In many homes there are thematic decorations: pumpkins, bats, spiders. All these little scary, a little bizarre creations. Also in our house this year there are such trivia, behind which the kids go wild. 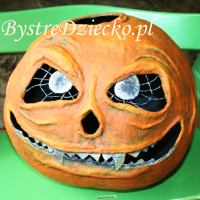 Today I’ll show you one of the ways in which you can make a Halloween pumpkin with paper mache.